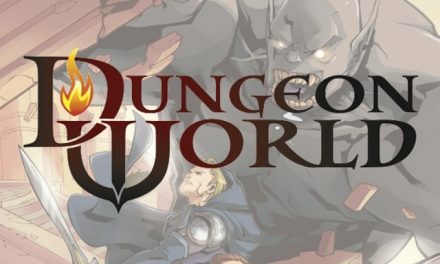 We played our second session of Dungeon World just before Easter. Where I perhaps over-prepared for the first adventure, this time I went in with a bare minimum of detail. I knew where the characters were starting (in the small village of West Water), made a rough map of the surrounding area, and printed out stats for a few different adversaries the characters might encounter (river pirates, an elven hunter, that sort of thing). I expected the characters to either travel down river towards civilization, or further upriver to the next village of West Falls. I was confident that the Dungeon World system would fill in all the necessary gaps as we went, and so I started the session by telling the players I had done a minimum of prep in order to test this theory out. They were keen, and we got started! We picked up the story right where we had left it, with the characters having just returned to West Water after saving Tisa Elbahn from the goblins that had kidnapped and murdered her family. The village had little in the way of money to reward them, but I had used the “Steading” creation system from the rules to flesh out the details of the settlement, and decided they traded with the elves from across the river and had many fine elven items to share. Tommy Tightlips chose a pair of elven boots as his reward, while Rosira took a fine embroidered cloak. The other players could not play this week, so it was just the thief and fighter. The elven items don’t have any specific in-game advantage, but are neat items to embellish the characters with. They might later sell them, as our fiction established that elven handicrafts are quite valuable in non-elven regions. The village held a feast to thank the adventurers and celebrate the return of Tisa. When everyone was suitably drunk Tommy slinked off to the market and broke into the elven trading post, stealing a shirt before someone came past and scared him off. The following morning the village was in an uproar at the discovery of the theft. It turns out they only hold the elven goods on consignment, and an elven trading delegation was due in two days to take stock of the goods. There would be serious trouble if the villagers could not find or pay for the stolen shirt. Convinced the theft was the work of river pirates, the villagers asked Tommy and Rosira to find the culprits and return the shirt. The players set off up river and Tommy revealed his crime to Rosira. At this time they were attacked by goblins on the river bank and decided to pin the theft on them. They eventually learned the goblins were skulking around the Elbahn farm and came to the conclusion they were searching for the silver axe that the characters had returned to the village. A spout lore move revealed the axe was used to clear all the local land and could fell a tree with a single swing. There was an epic battle at the Elbahn farm where the characters fought against a troll from the roof of the barn. During the battle Tommy was mortally wounded and came face-to-face with Death himself. Death told Tommy that his actions were not worthy of his great skill and he should cease his petty criminal ways. Tommy readily agreed and awoke, gasping for breath. The battle ended with the capture and interrogation of a goblin warrior. After promising to free the goblin if he answered their questions (a Parlay move), the characters found out an Orc warlord named Grunash had sent all the local goblin tribes in search of the Elbahn Axe. Rosira then ran the goblin through with her spear, but not before the goblin cursed the fighter and her weapon. She would later learn that the blood could not be washed from the spear, and it would mark her as cursed amongst goblinoids. Tommy and Rosira returned to West Water with the “found” shirt just in time for the elven trading delegation to arrive. They discussed what they had learned with Arn and the elves, who feared Grunash might use the axe to cut great swathes through their forest home. They concocted a plan: the elves would take the Elbahn Axe back to their city in the depths of the forest, while the characters took a decoy axe west, towards Grunash’s settlements. The hope was to lead goblin raiding parties away from the village, and to discover more about the warlord’s plans. And that is where the adventure ended. It went nowhere near where I thought it would, but it was great fun. Tommy stealing the elven shirt was a curve ball, but it set the whole adventure in motion. The players had a great time (or so they told me! ), and so did I. 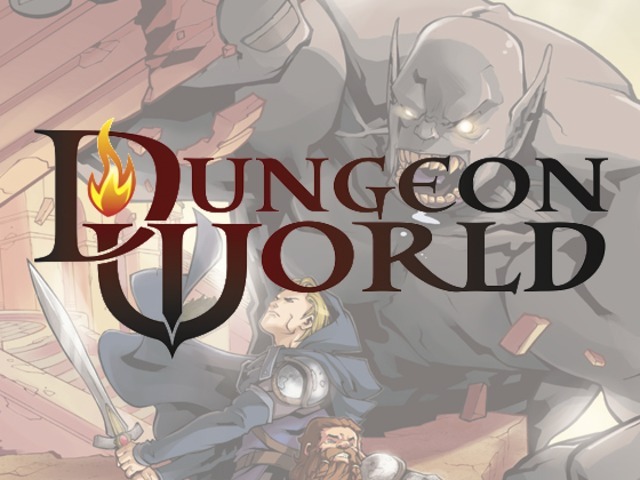 It was no trouble running Dungeon World with a minimum of prep, though it did help that I had fleshed out the village, their relationship with the elves, and the general geography. Grunash, was totally made up on the spot though, and I have no idea what his overall plans are! It is time for me to crack out the “Fronts” and write down some new dangers. We are planning to play again this Saturday, and I can’t wait!